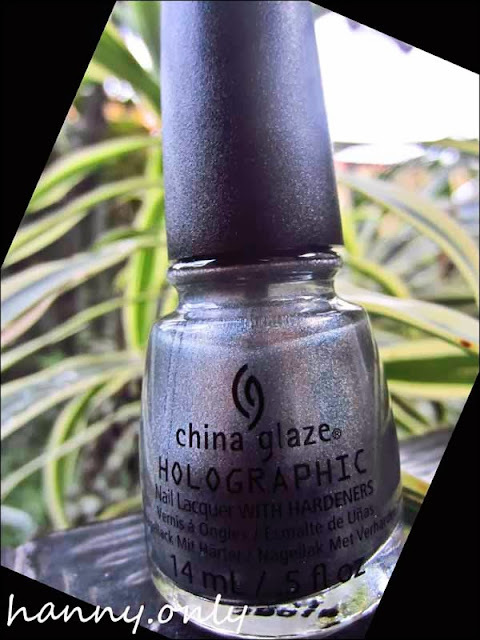 hanny.only: CHINA GLAZE HOLOGRAPHIC NAIL POLISH in 1210 COSMIC DUST..
CHINA GLAZE HOLOGRAPHIC NAIL POLISH in 1210 COSMIC DUST..
Another nail polish swatches is here, ladies.. it's CHINA GLAZE's HOLOGRAPHIC sent by lovely Felicia from SPREE Online Shop.. The color is so electric, reminds me of the Millennium way back when.. haha.. 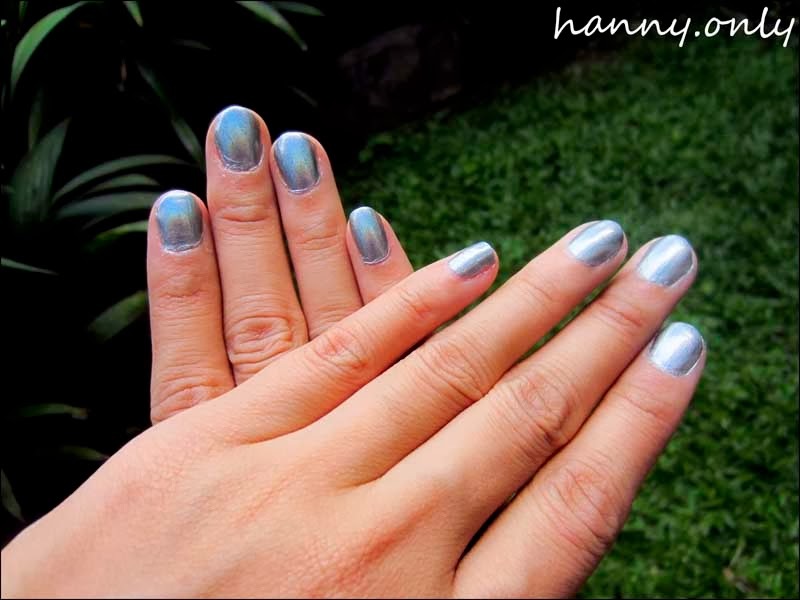 Here's what it looks like on nails.. 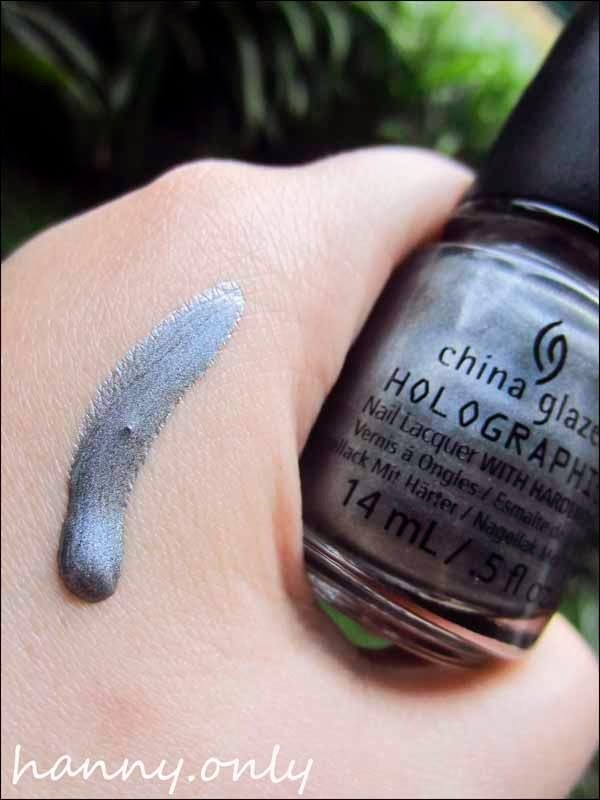 Honestly, i was hope the color is a lil' bit darker than this.. because it made the fingers looked pale.. but what's unique is, it has hologram effect, just like the name.. you could play it under the sun or indoor lights and see the color is changing, just like a chameleon..
Oh yeah, this baby looked more gorgeous on feet..
the color and the way it reflected all of the lights, made your feet look brighter and clean..
use a hot pair of stilletos and you're party ready.. woot woot!!! The down side of this product is the strong smell, it's kinda disturbing.. but i love how quick this baby dried, so i don't have to waste my time to wait anymore.. just few minutes and you're done..
Oh! 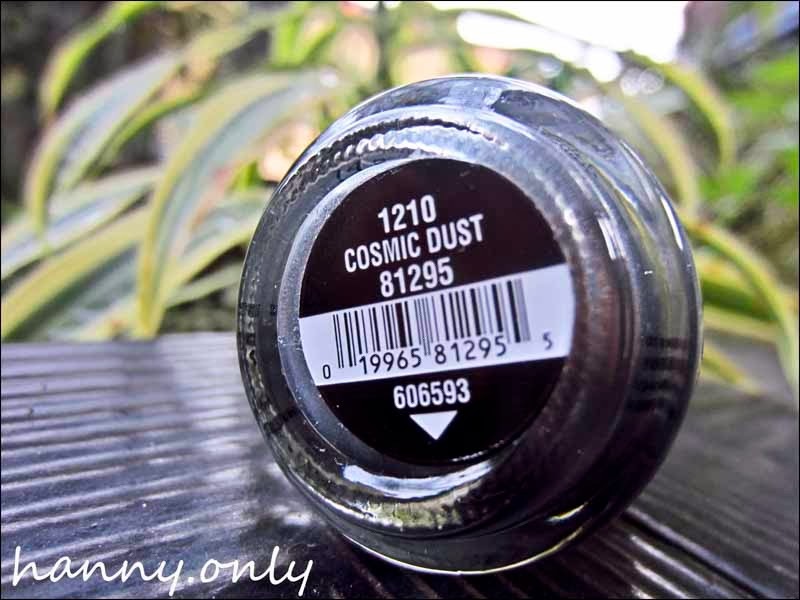 And i use Revlon top speed top coat over it..